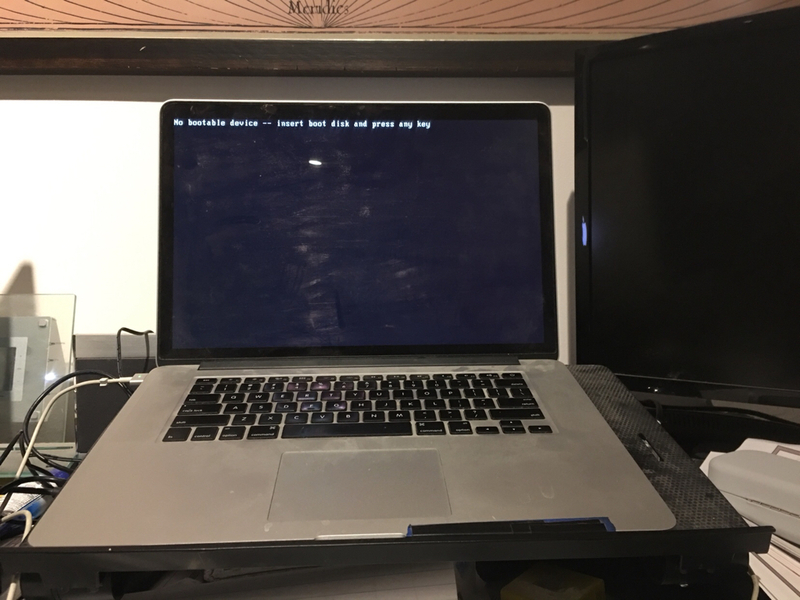 Macbook confused on boot drive!! I tried to install windows 7 on my MacBook Pro using bootcamp. I created a 100gb partition and rebooted to install windows in that partition. Windows 7 complained that it needed a ntfs file system in the partition bootcamp setup. Having no other options, I shut down my Mac. Upon reboot I get the no bootable device screen. I’ve tried rebooting with / without the usb install stick that bootcamp created for me. No luck. What do I do to startup my Mac OS? Have you done any Time Machine backups? If so then you can boot off the external drive and restore from your most recent backup. The Option key may help bring up a menu that presents the various startup disks.